As a part of USA Rugby as its State Rugby Organization for Arizona, we are a part of and adhere to USA Rugby's Safe Sport Policies and Procedures. "The safety of its members is of paramount importance to USA Rugby. USA Rugby has Zero Tolerance for abuse and misconduct. This includes not only on-pitch safety, but also off-pitch safety in any part of USA Rugby’s programs. 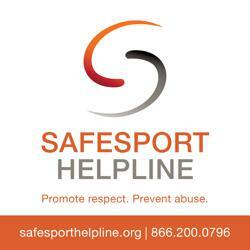 USA Rugby is committed to creating safe and fun environments for its members." This is a FREE Online Course. Designed for the parents of athletes of all ages, this course explains the issues of misconduct in sport and helps parents ensure their children have a positive and safe sport experience. The US Center for SafeSport has created age level handbooks for parents to help them understand the issues of misconduct in sport and helps parents ensure their children have a positive and safe sport experience.